Should You Offer Extrinsic Classroom Rewards for Good Behavior? Classroom incentives, prizes, and punishments are part of a controversial topic for teachers. 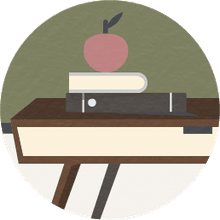 Many teachers see extrinsic material rewards as an appropriate and effective way to manage behavior in the elementary classroom. Other teachers don't want to "bribe" the kids to do work that they should be intrinsically motivated to do on their own. Should You Offer Classroom Incentives Early in the School Year? The idea of classroom rewards is an important concept to consider at the beginning of the school year. If you start off the year showering students with rewards, they are going to expect it and will most likely only work for the rewards. However, if you limit prizes from day one, you may find that you can get away from the material aspect a little bit and save yourself a significant amount of money in the long run. Here is an example of what worked for me and thoughts about the concept of rewards. In setting up my first classroom (third grade), I wanted to avoid rewards. I dreamed of my students working for knowledge's sake. However, after trial and error, I found that kids respond to rewards well and sometimes you just have to use what works. The teachers before us most likely showered our current students with rewards, so they probably expect it by now. Also, teachers (and all employees) work for a reward - money. How many of us would work and try hard if we weren't getting a salary? Money and rewards, in general, make the world go round, whether it's a pretty picture or not. At the beginning of the year, I didn't do anything with rewards or behavior management because my kids started out the year quiet and hard working. But, around Thanksgiving, I was at the end of my rope and started introducing rewards. Teachers might want to try going as long as they can without rewards because the prizes start losing their effectiveness after awhile because the kids expect them or get used to receiving the rewards. It also works to change the rewards as the year progresses, just to add a little excitement and a boost to their effectiveness. I don't use any material rewards in my classroom. I don't give out anything that costs money for me to buy. I'm not willing to spend a lot of my own time and money to keep a store or prize box stocked for daily rewards. 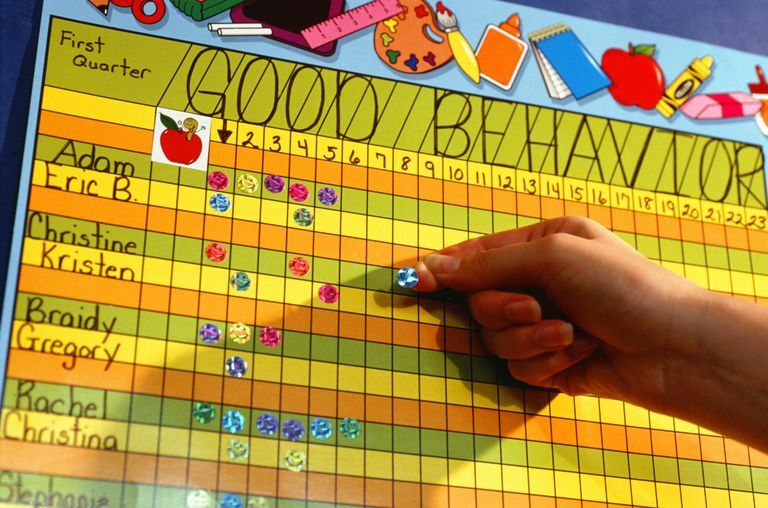 In the end, positive reinforcement of good behavior worked best for my students and me. I used "Good Work Tickets" which are just leftover scraps of construction paper (that would have been thrown away otherwise) cut up into little 1 inch by 1-inch squares. I have the kids cut them up for me after school or whenever they want. They love to do it. I don't even have to do that part. When kids are working quietly and doing what they are supposed to be doing, I give them a good work ticket. They put their student # on the back and turn it into the raffle box. Also, if a child finished his or her work or has been working well, I let them pass out the good work tickets, which they love doing. This is a great thing to do with "problem" children; kids who are usually "in trouble" will love monitoring their classmates' behavior. The students are usually more strict than I am with handing them out. Since they are free, it doesn't matter how many you give out. You can tailor these rewards to what the cool things in your classroom are. I usually pick two or three winners and then, just for fun, I pick one more, and that person is the "Cool Person of the Day." The kids and I just thought that was a funny thing to do and a nice way to wrap up the drawing. Also, I keep a bag of candy in my cupboard for a quick reward (if someone catches a mistake I make, goes above and beyond the call of duty, etc.). It's a pretty cheap thing to have around just in case. Just throw candy to the kid and keep on teaching. I didn't place a large emphasis on rewards. I tried to make learning fun, and my kids genuinely did get excited about learning new things. I had them begging me to teach them harder math concepts because they knew they could handle it. Ultimately, how you use rewards in your classroom is a personal decision. There are no right or wrong answers. Like everything in teaching, what works for one teacher may not work for another. But, it does help to discuss your ideas with other educators and see what others are doing in their classroom. Good luck!